Phil Jones focuses his practice on bankruptcy and creditor’s rights, representing both creditors and debtors, and commercial and civil litigation. Before moving to Colorado, Phil practiced for over 27 years in Florida. He was a member of the Southwest Florida Bankruptcy Bar and Tampa Bay Bankruptcy Bar and currently is a member of the American Bankruptcy Institution. He assists his clients with their financial problems through the bankruptcy process or other means of financial workouts. 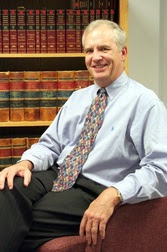 Phil is a member of the Colorado Bar, the Florida Bar, and the Mesa County Bar Associations. He is admitted to practice before the Colorado Federal District Court, and the U.S. 10th and 11th Circuit Court of Appeals.Phil has served as chairman of both Florida Bar Rules of Civil Procedure Committee and the Florida Bar Code and Rules of Evidence Committee. He was a former assistant state attorney for the 20th Judicial Circuit in Florida. He has lectured on behalf of the Florida Bar on the following topics: “Counseling the Judgment Debtor”; “Ethical Considerations in Debtor and Creditor Relations”; “Ethical Considerations in Collection of Judgments for the General Practitioner”; and “Ethical and Professional Considerations in Creditor/Debtor Representation-Collection Actions for the General Practitioner Seminar”. In 1998, Phil was selected as a Leading Florida Attorney in Bankruptcy Law: Individual and Commercial Creditor/Debtor. He was appointed as a General Master for the 20th Judicial Circuit in Florida. He was nominated for Florida Circuit Court Judge by the 20th Circuit Judicial Nomination Committee five times, and was nominated for Federal Magistrate for the Middle District of Florida by the Federal Nomination Committee. Phil received his undergraduate degree from the College of William and Mary in 1974 and earned his juris doctorate degree from Stetson University College of Law in 1977. 42 years since Phillip Jones was first licensed to practice law.